For an overview of all our tours please click on "Our Paphos Experiences" in the navigation bar above. A perfect and adventurous way to discover new things on your holiday destination. With the Aphrodite Adventure you explore the coastal tracks near the famous Aphrodite’s Rock. See the stunning views over the sea towards Paphos. Petra tou Romiou (The Rock of the Greek) is the legendary birthplace of Aphrodite. The Greek goddess of love and beauty. Our route takes us along the footpaths and tracks of the coastal area. From the resort of Aphrodite Hills to the beach at Petra Tou Romiou. Bring your swim suits to enjoy eternal beauty as a reward for swimming around Aphrodite’s rock. Please allow up to FIVE hours for the experience. This includes transfers to Ahrodite Hills, safety briefing, personal training, practice and about 2 hours of gliding along the coastal pathways. After your Segway experience we would be happy to allow time for you to enjoy the relaxed hospitality of a local taverna in the village of Kouklia. Aphrodite’s Coastal Adventure € 80,- pp. Please click the image for all our reviews. 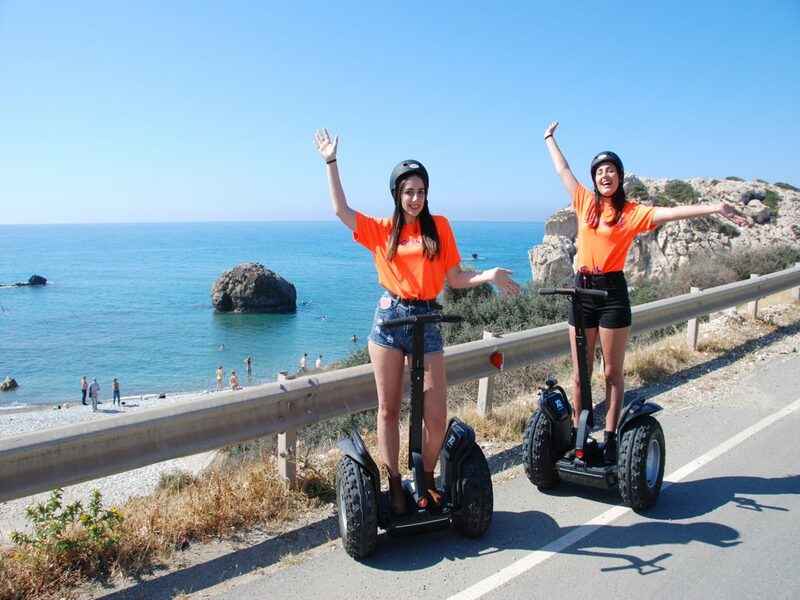 Copyright © 2017 Trysegway Tours Paphos (Cyprus) All Rights Reserved.